Left Behind is a 2000 Canadian science fiction action film directed by Vic Sarin and starring Kirk Cameron, Brad Johnson, Gordon Currie, and Clarence Gilyard. 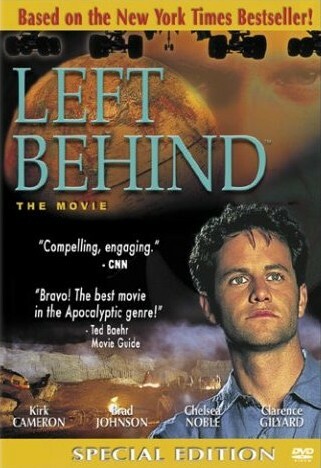 Directed by Vic Sarin, Left Behind was proclaimed by its creators as the biggest and most ambitious Christian film ever made. It is based on the book series of the same name and also the first in a trilogy, followed by Left Behind II: Tribulation Force and Left Behind: World at War.